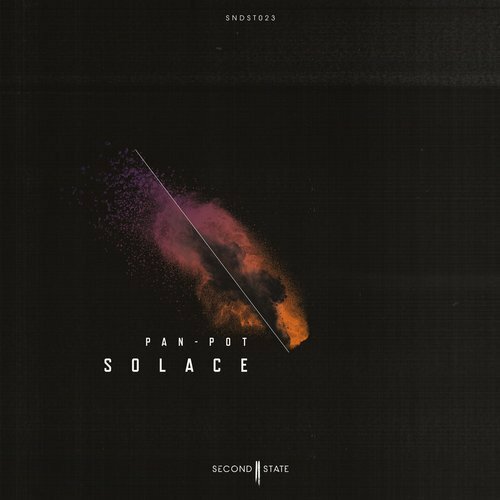 Pan-Pot return home to Second State with a stunning EP showcasing the duos proficiency for composing dynamic, cutting-edge Techno_ 'Solace' EP navigates through a trifecta of distinct styles that unquestionably bear the mark of Pan-Pot's masterstroke_ EP of the Day 21/11/2016 - Track? !D. After nearly a year since their sophomore album 'The Other', Pan-Pot return home to Second State with a stunning EP showcasing the duos proficiency for composing dynamic, cutting-edge Techno. Over the span of three tracks, 'Solace' EP navigates through a trifecta of distinct styles that unquestionably bear the mark of Pan-Pot's masterstroke. Kicking it off at a breakneck pace is the title track 'Solace' with rapid fire low end and intense tones laying the bedrock for a wildly uplifting presentation of keys creating the ideal balance between opposing forces. Up next is 'Consequence' which see the duo team up with Martin Eyerer for a newly styled trip down memory lane. By pairing key elements of the sounds of early Pan-Pot and contemporary production, the trio have succeeded in conceiving a fever inducing, big room hit. Rounding out the EP is 'Lose Yourself' and it is by far the most grandiose of the trilogy. Lush pads and soaring sonic stairs build toward a zenith as the ceaseless chant of "lose yourself" escorts the traveller through an elated dream. To top it all off, Pan-Pot personally enlisted the expertise of IMF's label boss, the mighty Marcel Fengler. With an astute awareness, Fengler weaves the original artifacts of ‘Lose Yourself' into a truly unique orchestration of rugged percussion and euphoric abstraction. Although it's been a year since we last saw Pan-Pot on Second State, once you experience 'Solace', we think you'll agree, it's good to have the bosses back home.